Do you have unexplained infertility? Are you TTC (trying to conceive) and not getting any feedback about why you are not conceiving? Or do you have a diagnosis and are actively treating it, but still not getting pregnant or getting pregnant but having miscarriages? It could be your thyroid. 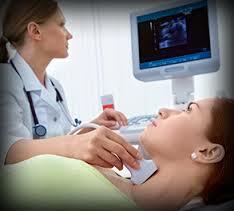 You’ve already tested your thyroid? The question you need to ask your OB/GYN or RE (Reproductive Endocrinologist, a fertility doctor) is what tests have you done, what do they mean, and are there other tests you can do? Most doctors will test for TSH, T3 & T4. This may not be enough. Testing for TSH, Total & Free T4, Total & Free T3, Reverse T3, and TPO, TGB & TSI antibodies usually gives doctors a much more comprehensive look at your thyroid. This, in combination with a thorough reproductive health intake can sometimes give the answers as to why some women are not getting pregnant, or why one may be losing their pregnancies. If you have questions about your thyroid, and how to better support your thyroid in order to conceive, please call Santa Monica Fertility – we are always here to help you get your body into optimum fertility health so that we can help you make your dreams of becoming a mother a reality.